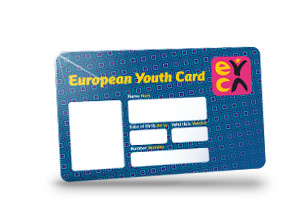 The European Youth Card costs 14 EURO. The card has gone digital and is available in the European Youth Card app. If you'd also like to have the plastic version of the card, please let us know at kiosk@eyca.org. Deliveries may take up to 3 weeks. Please select your country of residence and proceed to the next step.